Oprah Winfrey, talk-show host, actress, philanthropist, and businesswoman, is the chairman of Harpo Entertainment Group in Chicago. She has been the host of the number-one talk show in the world for eleven years. Bob Greene is an exercise physiologist and personal trainer specializing in fitness, metabolism, and weight loss. He holds a Masters degree from the University of Arizona and is a member of the American College of Sports Medicine and the American Council on Exercise. The following is a personality profile of Oprah Winfrey based on her work. 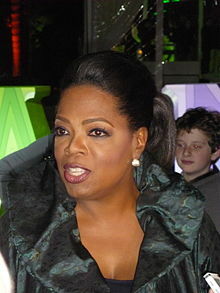 Oprah Winfrey is social, somewhat verbose and can be perceived as shortsighted. She is assertive, she tends to speak up and take charge of situations, and she is comfortable leading groups. She is unconcerned with art as well: she is less concerned with artistic or creative activities than most people who participated in our surveys. But, Oprah Winfrey is also empathetic: she feels what others feel and is compassionate towards them. by Dr. Barry Sears, PH.D.